Alexander is the Founder of Alpha Omega’s Group of Companies. This group provides end to end solutions to the clients to achieve their Vision. Aibex Guru Management Consultant Private Limited (Business Coaching in North India), AO Solutions Private Limited (Business Coaching in South India) Asthra Digimark Private Limited (Digital Marketing), HUARC HR Solutions Private Limited (Recruitment and HR Solutions), Raraku Learning Solutions Private Limited (Training & Development), Professo Management Services Private Limited (Co – Working Space), Orgro Private Limited (Organisational Development), Aluna Productions Private Limited (Media & Branding), Alpha Omega Publications, Alpha Omega’s Centre for Counseling and Psychotherapy (Non-profit Organisation), Mr. Black & White (Hospitality Industry) and AI Labs Experts (Artificial Intelligence Research Centre). He has professional exposure in Dr. Reddy’s; Elgi Equipments, Christian Counselling Centre and Don Bosco Institutions. 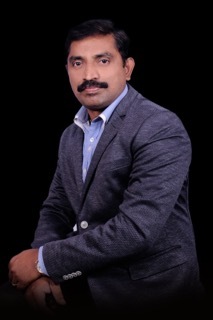 His multi-disciplinary qualifications include Ph.D. in HR field – “Self-Managed Teams” (Thesis submitted in Bharathiyar University); Post-Graduate Diplomas in Quality Management (Mahindra Institute of Quality); HR (Pondicherry University); Psychological Counselling (Christian Counselling Centre) ; Master of Business Administration specialized in Operations & Technology Management – (Anna University); Master of Social Work – (Madras University); Master of History (Annamalai University); and Bachelor of Commerce – Gold medalist (Madras University). He has addressed and presented papers in various National and International conferences. He has published research articles in National journals. He has trained multi-cultural international participants. He has International Professional Exposure – France, Brazil, Italy and UAE. Menaka has extensive hands on experience in the Human Resources function. Prior to joining Huarc HR Solutions she had HR exposure in various sectors like Manufacturing, Food, and consulting. She has worked in companies like Cheslind Textiles India ltd, Philips Food India Limited, Parekh Aluminex Limited. Menaka has completed her Bachelors in History from Auxilium College, Vellore and Masters in Social work (Specialized in Human Resources and Industrial relations) from Sacred heart College, Tirupattur, University of Madras. She is passionate about Counselling, Psychology, Net working with Clients, Training Content development and Corporate social responsibility and currently based at Chennai.